Cowboys & Aliens at Comic-Con! The Haunted Hotel during Comic-Con! For all those that were not able to attend Comic-Con 2013 in San Diego last month, Matty Collector is a having the’r “Most Wanted” Sale on Monday, August 5th starting at 9:00am. The Early Access for subscribers was today for 4 hours, so hopefully there are some items left for everyone else to grab if you missed out! Good luck! Please note that all products are subject to sell-out to subscribers during Early Access* on Friday 8/2. Any remaining products will be available to everyone starting Monday 8/5 at 9am PT. …and other stuff you may want! Want an email reminder so you don’t miss special sales like this? Click here to register. Or, join me on Facebook, Twitter and in our Fan Forums and you’ll get reminders there, too. *Early Access is a subscriber-only benefit through our clubs. Subscriptions are closed for 2013, but if you want to make sure you have the chance to purchase many of our hottest items before non-subscribers in 2014, get your 2014 subscription today! 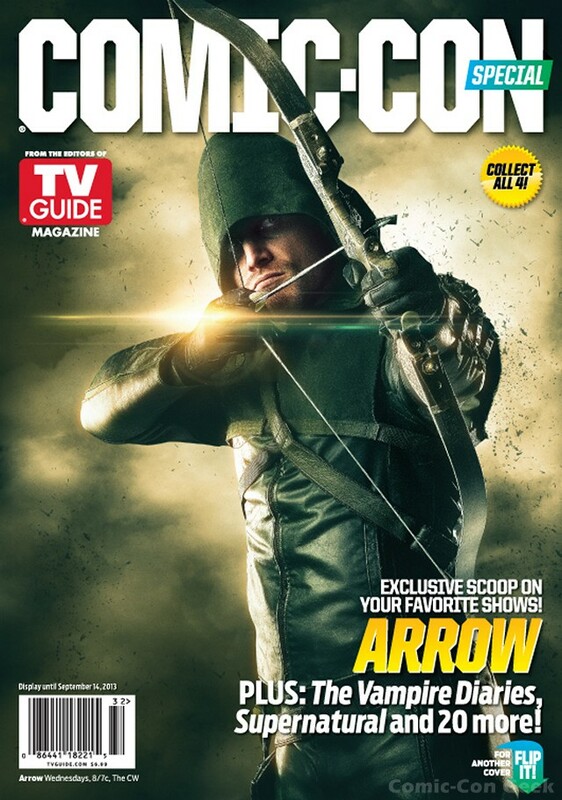 Warner Bros. and TV Guide Team Up for Four Collectible Comic-Con Covers! DYNAMIC DUO SPRINGS BACK INTO ACTION! 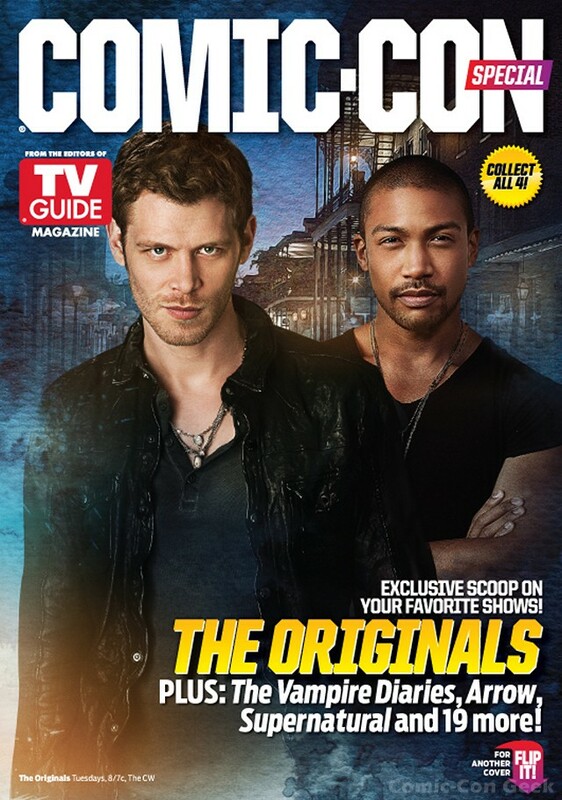 TV’s super alliance continues as Warner Bros. Television (WBTV) and TV Guide Magazine join forces once again to deliver fans the ultimate Comic-Con swag item for the fourth consecutive year: a Warner Bros.–themed Comic-Con special edition of the magazine, with insider scoop and behind-the scenes action from the Studio’s series as well as four sets of collectible “flip” covers featuring Arrow star Stephen Amell; Supernatural stars Jared Padalecki and Jensen Ackles; The Vampire Diaries stars Nina Dobrev, Paul Wesley and Ian Somerhalder; and The Originals stars Joseph Morgan and Charles Michael Davis; in addition to a set dedicated to the 75th anniversary of Superman, with Batman on the flip cover. 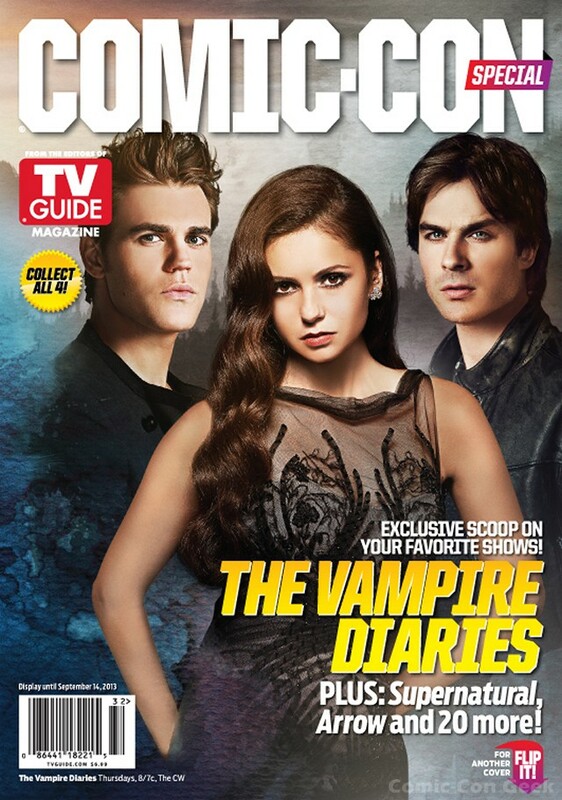 The Warner Bros. TV Guide Magazine special issues will be distributed to fans for free at the Warner Bros. booth — #4545 on the convention floor — throughout Comic-Con, beginning on preview night, Wednesday, July 17, and continuing through Sunday, July 21. 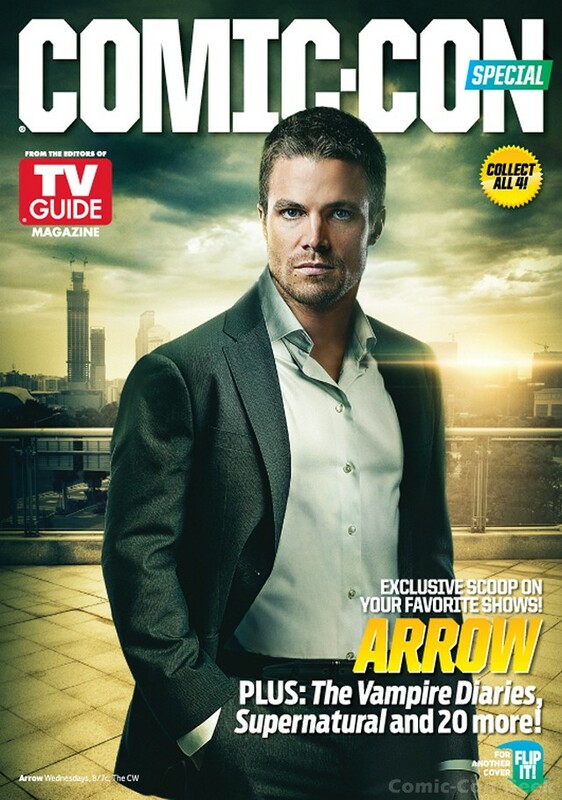 For those unable to attend Comic-Con in person, all four sets of collectible flip covers will be on sale from July 17 at newsstands wherever TV Guide Magazine is sold. The special issue will also be available digitally on iPad, Nook, Kindle Fire, Zinio and Google platforms. For continuing info on the Studio’s plans at Comic-Con, please follow us on Twitter @TheWBdotcom (hashtag #WBSDCC) and visit www.thewb.com/comiccon. 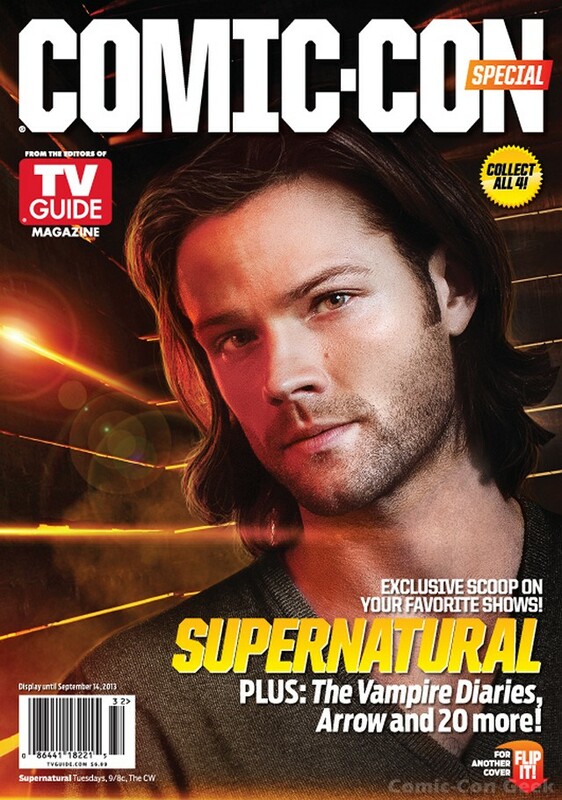 And follow TV Guide Magazine on Facebook at www.facebook.com/TVGuideMagazine and on Twitter @TVGuideMagazine. 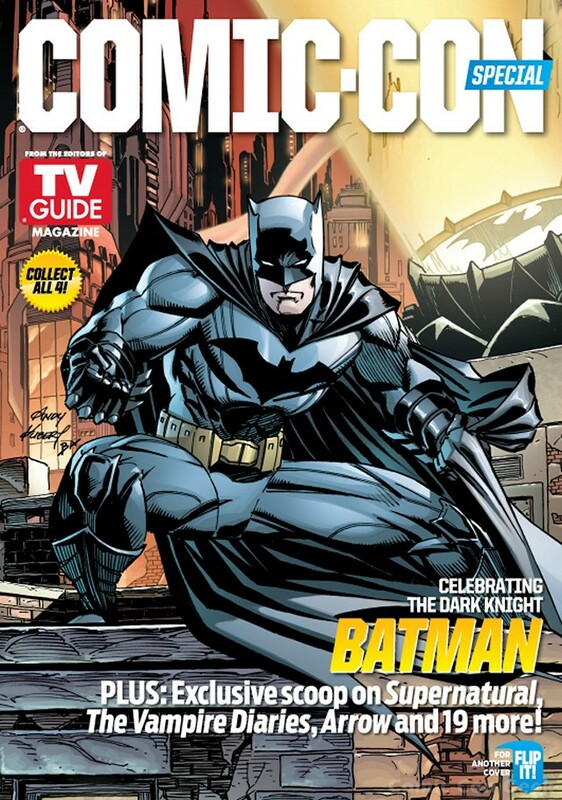 Four Comic-Con 2013 Exclusives from DC Comics! DC Collectibles have released four San Diego Comic-Con exclusives. 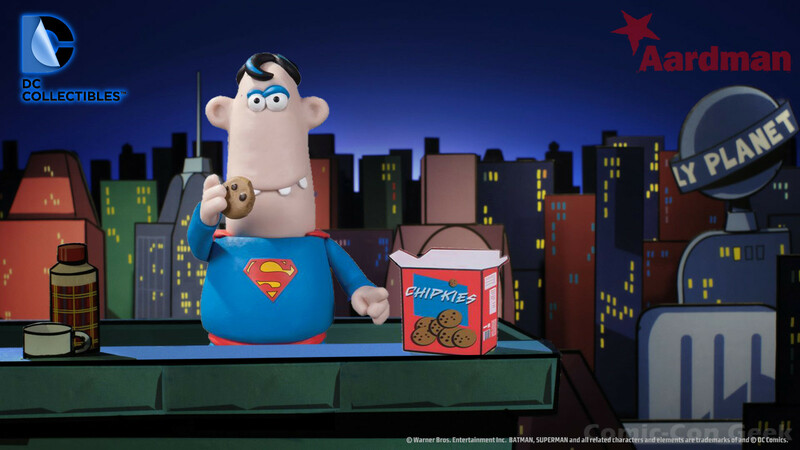 The first one is Aardman‘s Superman and is priced at $24.95 and is packaged with a “box of cookies”. The next exclusive is actually three collectibles from Cartoon Network‘s DC Nation animation block. 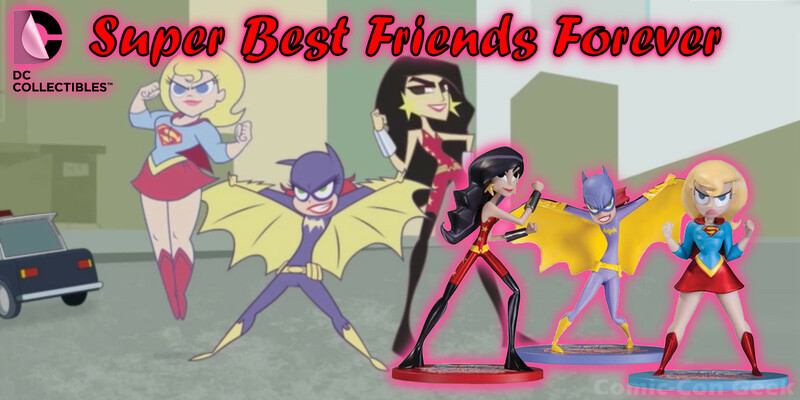 The Super Best Friends Forever three-pack (Supergirl, Batgirl and Wonder Girl) will be $49.95 and is designed by Lauren Faust. 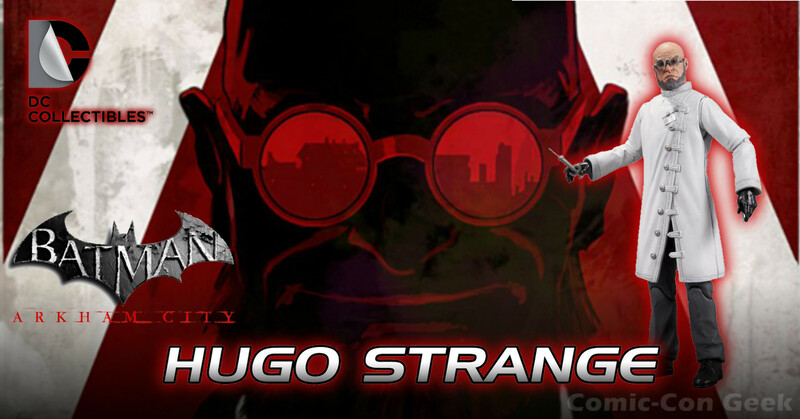 The Hugo Strange action figure will be also available for all the gamers out there for $29.95. The figure is based on the evil scientist from Batman: Arkham City. The fourth exclusive is the “Superheroes of Green Lantern” four-pack which will be $49.95. 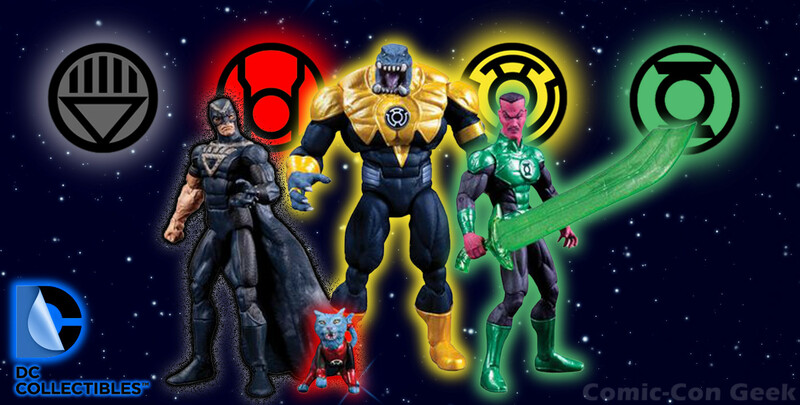 The figures are 3¾-inch in height and features the Black Hand, Red Lantern Dex-Starr, Sinestro Corps Arkillo and Green Lantern Sinestro. These items will be available at Graphitti’s booth at Comic-Con (and probably DC’s online store after Comic-Con). 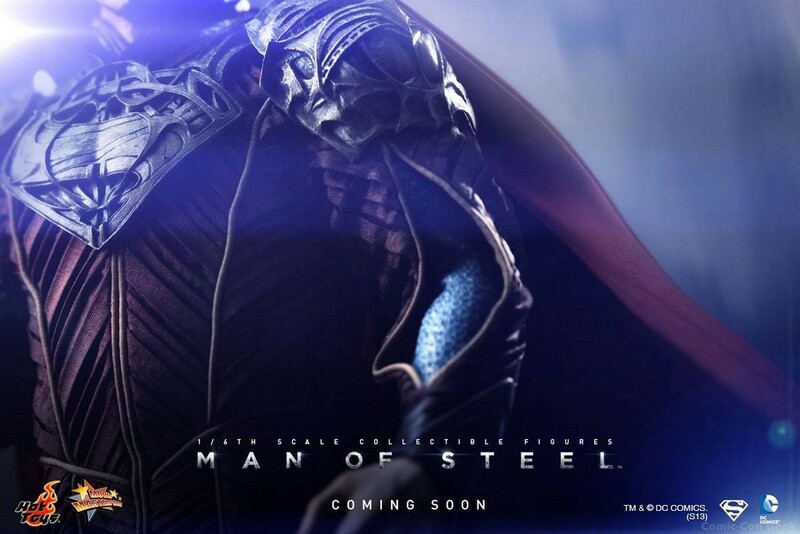 Hot Toys is teasing everyone with a couple of photos of their figures for Superman and Jor-El. 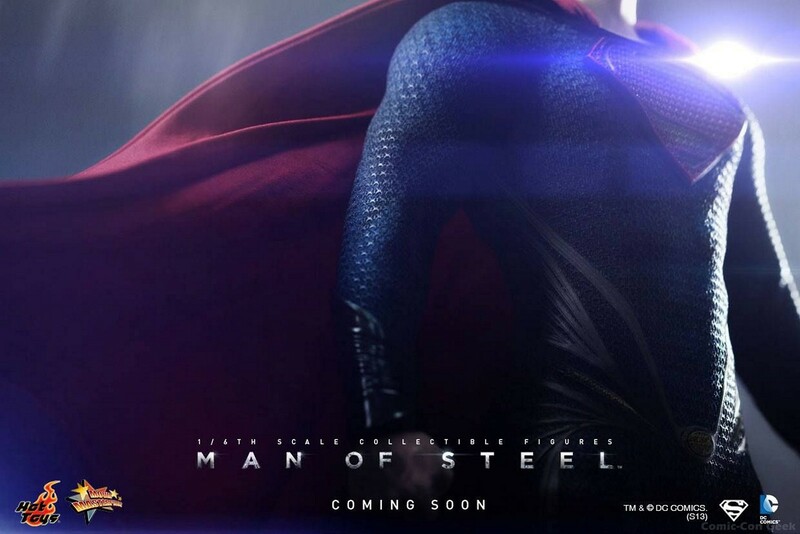 One of the most anticipated blockbusters this summer, Man of Steel will begin to hit theaters worldwide next month! 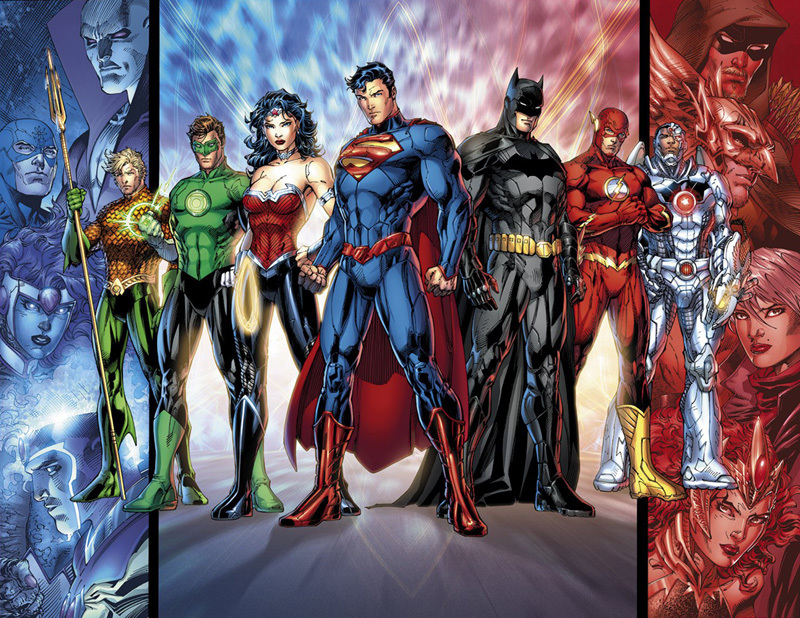 Audience will get to take a new look at the origin and rise of an iconic superhero. We know that fans have been eagerly waiting, and we are very excited and happy to inform you today that the collectible figures of Man of Steel will be coming soon! 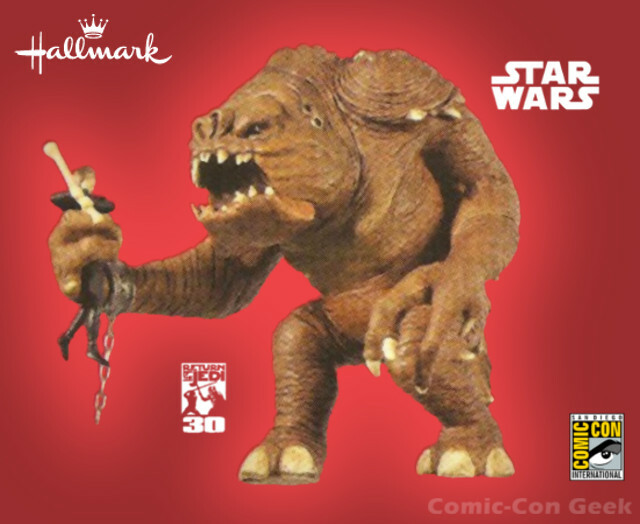 Hallmark Introduces 2013 Exclusive Keepsake Ornaments at SDCC, NYCC and D23 Expo! 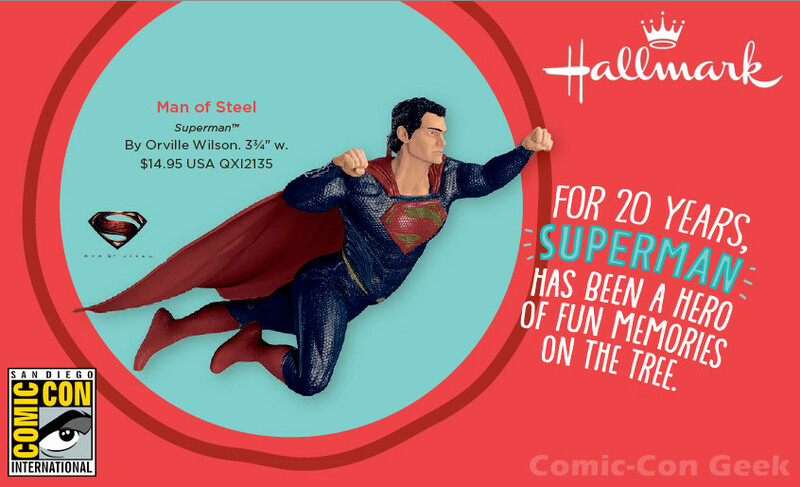 Hallmark continues its participation at the nation’s largest pop culture fan conventions with four Keepsake Ornaments exclusively developed for 2013 events. Wrath of the Rancor™ – Created especially for event sales, this ornament captures Luke Skywalker’s struggle with the savage creature dwelling below Jabba the Hutt’s palace as seen in Star Wars: Return of the Jedi™. U.S.S. Kelvin™ – As featured in the 2009 Star Trek movie, this Federation starship exclusive is a “battle-scarred” variant of the same Keepsake Ornament available starting in July in Hallmark Gold Crown® stores. Man of Steel – Inspired by this summer’s big-screen adventure of the same name, Superman is the subject of this event-exclusive Keepsake Ornament. Details and images of this ornament will be announced later this year. 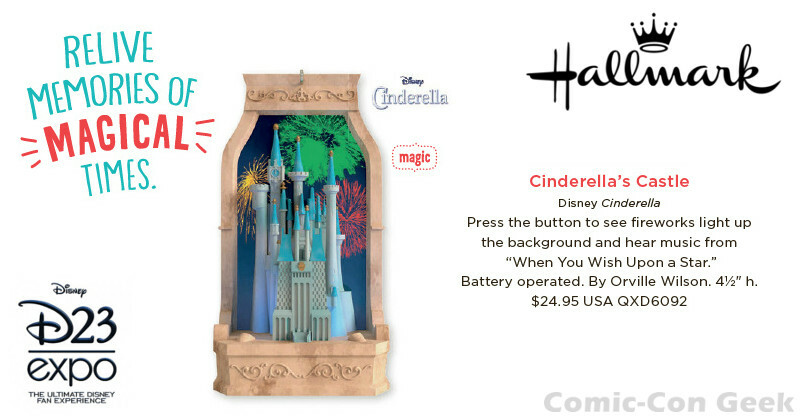 Cinderella’s Castle – Featuring battery-operated light and sound, this exclusive Keepsake Ornament will boast a different look from the ornament available starting in July in Hallmark Gold Crown stores. More information about Hallmark’s plans for these fan events will be announced closer to the respective dates. Starting April 15, the 2013 Hallmark Keepsake Ornament Dream Book showing this year’s entire line of Keepsake Ornaments will be available in Hallmark Gold Crown® stores and online at Hallmark.com. Hallmark makes the world a more caring place by helping people express what’s in their hearts and spend time together – a privilege few other companies in the world enjoy. Hallmark greeting cards and other products are found in more than 39,000 retail outlets in the United States, including the network of flagship Hallmark Gold Crown® stores. The brand also reaches people online at Hallmark.com and on television through Hallmark Hall of Fame original movies and cable’s top-rated Hallmark Channel. Worldwide, Hallmark offers products in more than 30 languages available in 100 countries. This privately held company is based in Kansas City, Mo., and is led by the third generation of the founding Hall family. Visit http://corporate.hallmark.com for more details. 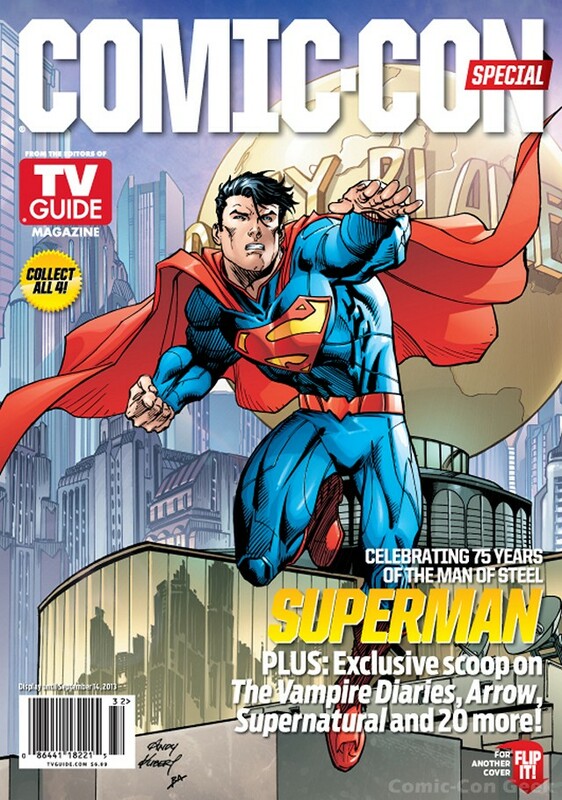 A First Look At The Man of Steel! 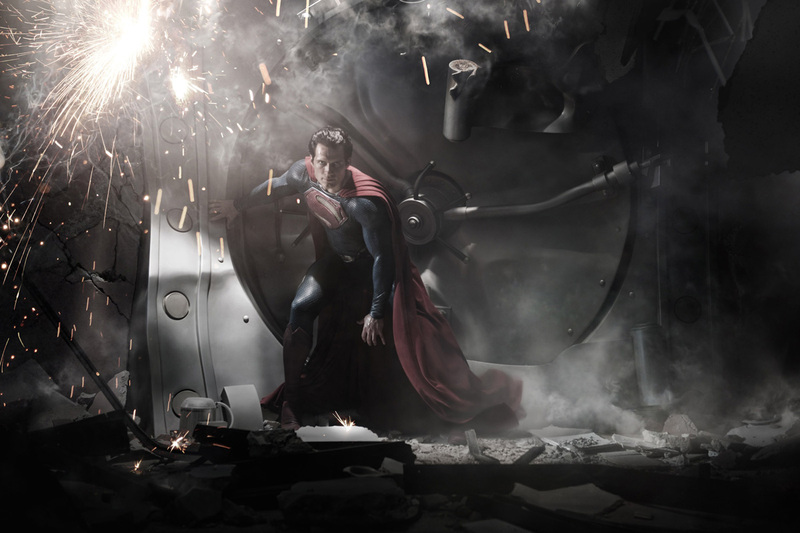 Warner Bros. Pictures and Legendary Pictures have provided the first look at the new Man of Steel, revealing star Henry Cavill as Superman in the film from director Zack Snyder. Squaring off against the superhero are two other surviving Kryptonians, the villainous General Zod, played by Oscar® nominee Michael Shannon (“Revolutionary Road”), and Faora, Zod’s evil partner, played by Antje Traue. Also from Superman’s native Krypton are Lara Lor-Van, Superman’s mother, played by Julia Ormond, and Superman’s father, Jor-El, portrayed by Academy Award® winner Russell Crowe (“Gladiator”).Rounding out the cast are Harry Lennix as U.S. military man General Swanwick, as well as Christopher Meloni as Colonel Hardy. Comic-Con International: San Diego 2011 Souvenir Book Cover! 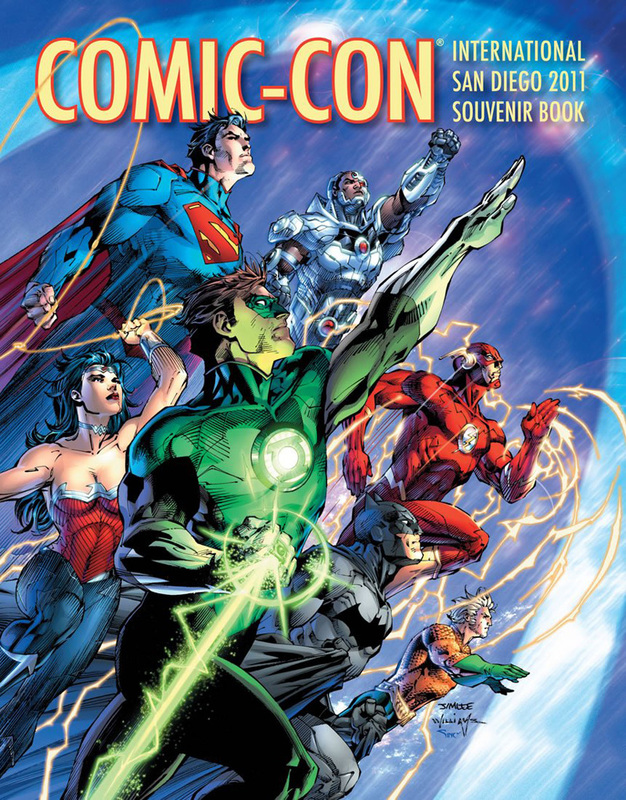 Here’s the cover to the 2011 Souvenir Book for Comic-Con! Enjoy! 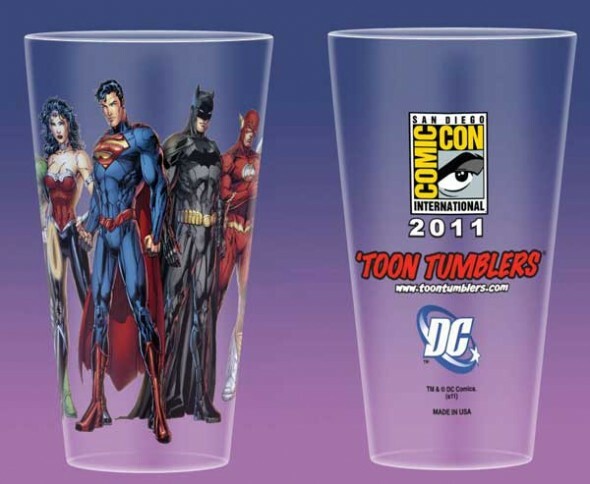 ‘Toon Tumblers revealed their exclusive for Comic-Con. The glass features artwork from Jim Lee and reveals the final Justice League lineup that will be featured in the upcoming DC relaunch. It looks like there are a lot of costume changes too. This image is probably a MAJOR spoiler for many people. Enjoy! San Diego Comic-Con 2014 Parking Permits Go On Sale 05/20/14 at 9am PT! Comic-Con 2014 Hotel Reservations Open Tuesday, April 8 at 9:00 AM PT! Comic-Con 2014 Returning Volunteer Registration Opens Today, February 4th at 9:00am! Professional Registration Opens Today at 10am! 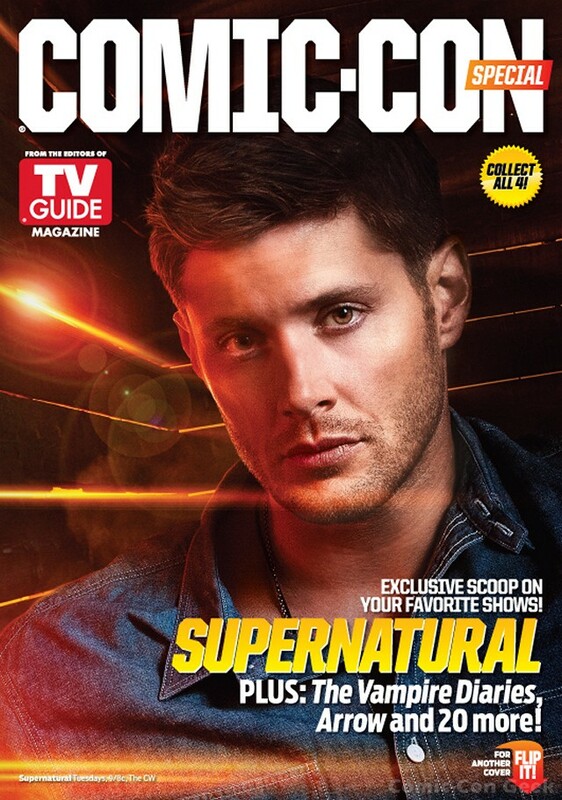 Charity Buzz Auction for 2 Tickets to Entertainment Weekly’s Comic-Con Party in San Diego, July 2014! Comic-Con 2014 – Press Application Period is OPEN! FOX Gives Series Order to New Action-Adventure Drama HIEROGLYPH! ABC’s Opener of MARVEL’S AGENTS of S.H.I.E.L.D. is TV’s #1 Drama Debut in 4 Years!